When the New Orleans Saints lost Senio Kelemete in free agency to the Houston Texans, there were questions surrounding the 2018 Saints’ ability to replicate the depth on the offensive line. Enter Jermon Bushrod, who re-signed with the team after after a two-year stint with the Miami Dolphins. Bushrod, at 34 years old, wasn’t expected to be a full-time player, but rather a depth piece to fill in behind the oft-injured Terron Armstead. 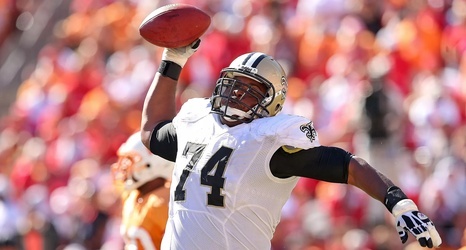 Bushrod ended up playing in 11 games for the 2018 Saints, starting 6.